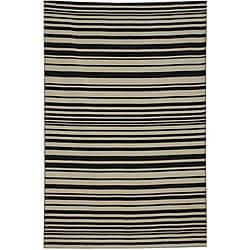 The contrast of the black and grey, and all the varying size stripes, makes this a busy rug. 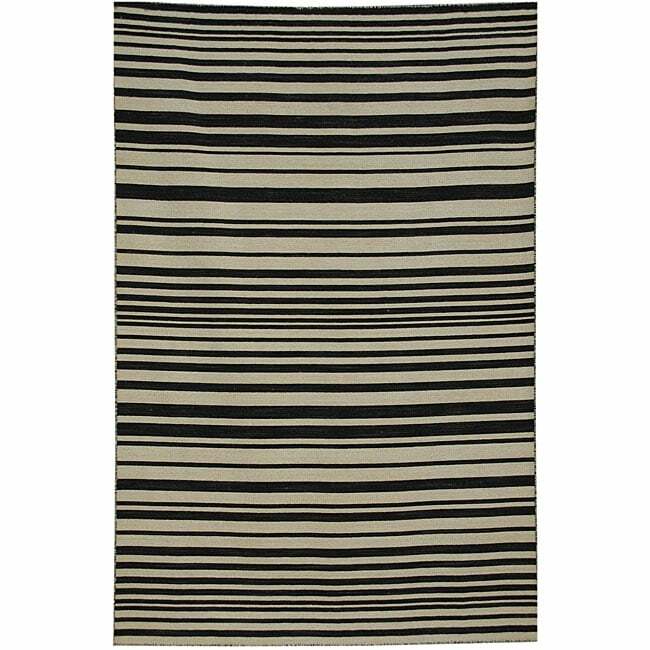 I bought it for my dining room, but the combo of the stripes on the rug and the legs of the chairs and table made my eyes cross. I was too lazy to return it so I put it in the bedroom where the bed covers most of it.